5つ星のうち5.0You might not understand it, but it's great music! 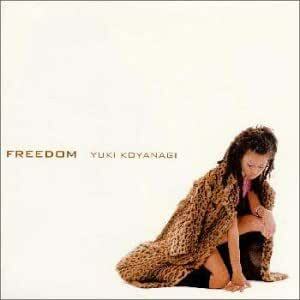 I absolutely love my Yuki Koyanagi CD, although I had to listen to it a couple of times before we clicked. Even though I don't speak Japanese, I found myself moved by many of the songs, the first one in particular, and scrambling to find the romanized lyrics somewhere on the net (Japanlyrics.com). Yuki's voice is very deep and rich, but she can still belt out those high notes! Her songs have a familiar kind of sound, but they are still entertaining. I think this CD is an excellent introduction to the wonderful world of Japanese pop music.